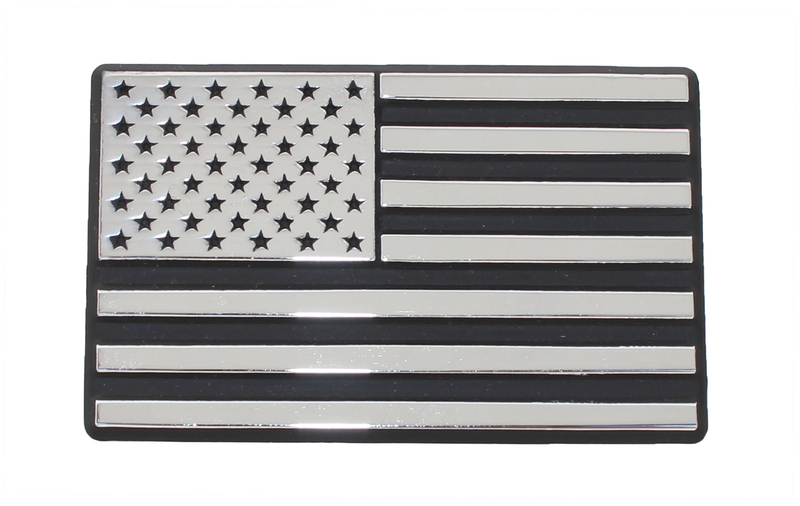 USA Flag in chrome plated metal for long-lasting durability. Attaches with automotive double-sided foam tape. Won't rust or fade. Size 4in x 2.5in. Made in USA. FREE SHIPPING!